Among the family of classified satellites, three stand out as more mystifying than the rest: Misty 1 & 2, PAN, and Prowler. The latter has long existed in the realm of rumours only. It was launched by Space Shuttle Atlantis on mission STS-38, which was a classified DoD mission launched on 15 November 1990. Officialy only one satellite, USA 67, was launched from the Atlantis payload bay. 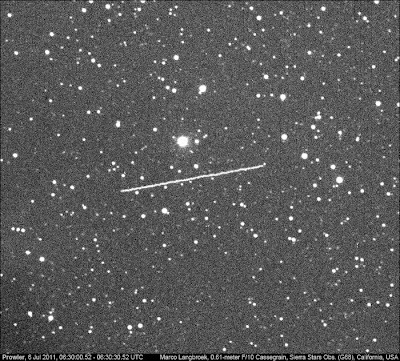 This is believed to be a geostationary SDS communications satellite, SDS 2-2. 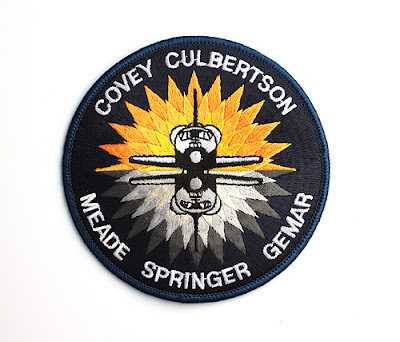 USSTRATCOM released catalogue numbers (but no public orbit) for three objects connected to this launch: the SDS satellite USA 67 itself (90-097B, 20963) plus two rocket bodies (90-097 C & D, 20964 and 20965). The latter was puzzling, as it is one too many (see the discussion by Ted Molcan here), This was the start of the idea that a second, unacknowledged object was launched by STS-38 as well. In 2004 an NBC journalist referred to such a secret payload by the name of Prowler, in a news-item discussing a Senate debate about a classified spy satellite program drawing criticism for massive cost overruns. The same journalist, citing anonymous sources, did so again in 2007. According to these stories, Prowler was an experimental satellite used for close inspection of other (non-US) satellites in geostationary orbit (see discussion here), reportedly coming to within decimeters of some satellites. There are suggestions that it was a test of technology which, in wartime, could be used to sabotage enemies' space assets. It was also said to employ stealth technologies to evade easy detection. Meanwhile, US amateur observers Ed Cannon and Mike McCants had discovered an unidentified near-geostationary object in July 1998. 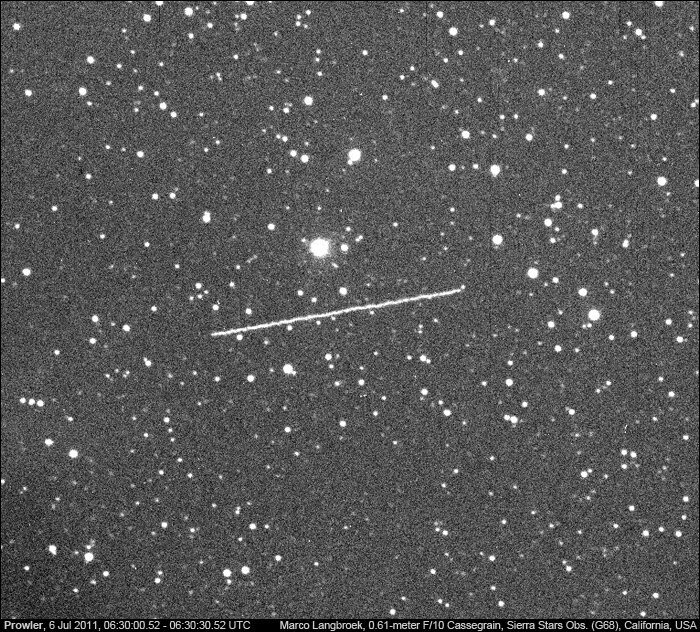 As time progressed and more and more ISON and amateur-discovered objects could be identified with specific launches, this one was one of few left unidentified. This in turn led to suggestions that the object in question was the rumoured unacknowledged STS-38 launch, Prowler. It was likely discovered only after its active lifetime ended, and it was put in a disposal orbit (see below). Since then, a long term analysis by Ted Molczan has strengthened this identification. The object has al the right characteristics in terms of brightness behaviour and orbital behaviour. It currently is in an unusual librating disposal orbit that seems devised to keep it out of reach of Soviet tracking facilities (see discussion in depth by Ted here). In a second analysis, Ted showed that STS-38 indeed had the opportunity to launch this object and some tell-tale clues to that are present in the manoeuvering history of STS-38 Atlantis. The whole history of the object, from launch onwards but also including the final disposal orbit when the stealth character of the object was lost, was designed with low detectability by Soviet tracking facilities in mind (see Ted's discussion here).